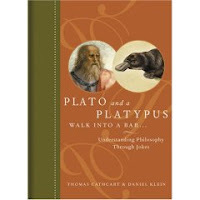 Alive and Young: Plato and a Platypus Walk into a Bar . . . The rationalist says, "The glass is twice as big as it needs to be."